Are you interested in making money as an affiliate or currently making money as an affiliate and looking to take your earnings to the next level? In this article, you'll discover 3 strategies you can use to increase your affiliate marketing earnings and take your promotional efforts to the next level. 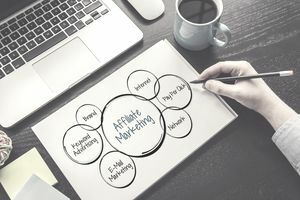 Affiliate marketing promotion may often feel like walking on eggs because you don’t want to come across to your email subscriber list and blog readers as too aggressive or “salesy,” even though you need to be confident and assertive to make money. Your goal as an affiliate marketer is to be able to maximize the amount of money you're making, without turning off your followers. You want your affiliate promotions to be an added value to your user's experience. What Is the Best Way to Reach My Income Goals and at the Same Time Optimize My “Know, Like, and Trust” Factor With My Readership? You’ve have to look at yourself in the mirror every day and deal with your conscience, so choose affiliate products that you would buy yourself and recommend to your own friends and family members without hesitation. Before the cash starts rolling in, new affiliate marketers must work hard to establish their credibility. If people trust your opinion and believe its authenticity, the rest of affiliate marketing, i.e., technical details, merchant payments, customer follow-up, etc. will mostly take care of themselves. If you only recommend good quality products that add value to your followers then you'll develop a good reputation and repeat sales from affiliate marketing will come easy. If on the other hand, you recommend anything and everything you'll lose trust and you'll lose followers in the long run. With that said, E-books and information products are well-suited for affiliate marketing beginners in this respect. They are relatively cheap across the board (fifty dollars on average in most niches) so buying a personal copy won’t set you back a lot. You are then in a position to offer an honest opinion on the book, and cater your message to the target audience. Early access to a merchant’s new offer can be critical in forming business alliances for the future and beating the competition to earn more sales. This case study type of affiliate promotion is the most effective way to promote product, just simply share your journey and your results. You don't have to acutally use the products yourself to promote products as an affiliate. You can share experiences of others as well. Each of these methods has their strengths and weaknesses, and selection often comes down to personal preference, past results, and actual testing. You should start with the methods that cater to your intersts or strengths. The best way to get started is to focus only on one or a few methods of promotion and mastering those methods before adding additional methods of promotion. If you try to learn and do everything at once you'll spread yourself too thin and not get momentum with any particular method of reaching your audience and driving traffic. For beginners, one of the best ways to get started is e-mail marketing and list building because it’s a proven way to attract “fans” that will “know, like, and trust” you, and ultimately be happy to purchase products off your links. Combined with a WordPress blog to anchor your promotion efforts, you will be able to build lasting and mutually beneficial relationships.